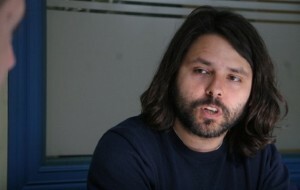 Alberto Mayol is a journalist and academic at the University of Chile in Santiago. He is the author of the books “The Collapse of the Model: The crisis of market economy in the contemporary Chilean model”, and “No to profit: From the crisis of the model to the new political era”. Today's presidential election results in Chile saw a first-round victory for Nueva Mayoria candidate Michelle Bachelet, with the second-round scheduled next month.Alberto Mayol, a Chilean sociologist, writer and Left public intellectual spoke to Ceasefire's Ali Sargent.